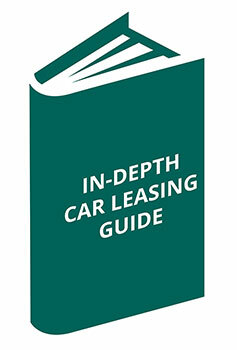 So, you’re a business owner and you’d like to lease a car for 2 to 4 years through your company? Contract Purchase could be the ideal solution for you. If you’re looking to get a Contract Purchase agreement as an individual there is a personal contract purchase option available. In simple terms, the company makes monthly payments throughout the contract and at the end of the agreement, you’ll have the option to sell, buy or give back the vehicle. Generally, CP agreements will last for 2 to 4 years, depending on the company’s preference and budget. Contract Purchase is great for you if your company wants to own their own vehicles, but also want to avoid the risk of depreciation. HOW IS A CONTRACT PURCHASE PRICE DETERMINED? The price of the contract is affected by a number of factors, including what you decide to do at the end. At the start of the contract, a sum will be set for the balloon payment. This is basically how much the car should be worth at the end of the term, also known as the guaranteed residual value. This balloon payment is then deducted from the price of the car, and the amount left is split into however many months you have decided to take the contract out for and the expected depreciation of the amount of miles you’ll be doing. On top of this are the additional costs such as maintenance packages, insurance and car tax (first year is free!). Additional extras such as maintenance packages. You can sell the car to a 3rd party and use the money you receive to pay off the balloon payment – anything you make above the balloon payment is yours. If you need more information we can help. Download our guide to Business Contract Purchase.